The weight of a single playing card is 1.8 grams. There is a very tiny difference in weight from card to card due to the ink on the card. For example, a court card has more ink on it than the Ace of diamonds. 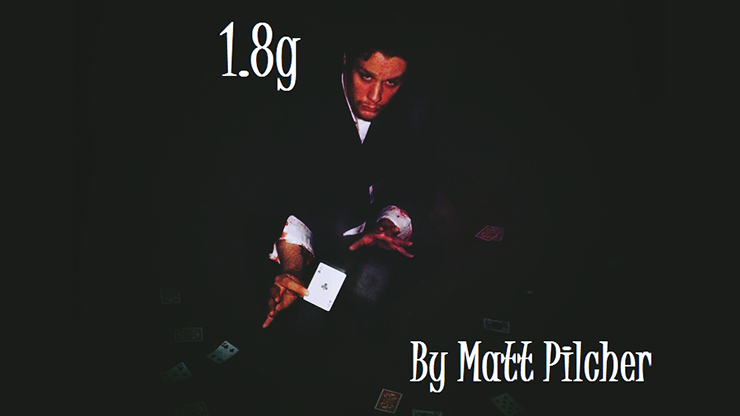 With 1.8g, you will be able to demonstrate an extraordinary ability to locate a chosen card simply by the weight of the card. It's like telling the difference between holding one grain of sand and holding two grains of sand. In this 20+ minute instant video download, Matt teaches you everything you need to know to pull off this trick. Let's have a little rundown of what you will need for this effect. - YOU WILL NEED - A pack of playing cards... Yep, that really is it! They don't even have to be your playing cards, or even a full deck. No complicated gimmicks to make, no marked cards, no set-up. Also, this trick is for ALL skill levels, so it doesn't matter if you're new to magic or if you've been doing it for years -- 1.8g is well within your grasp. Download the video and have fun showing others your new and amazing talent.